City officials have failed to hold the banks accountable. We must push for public accountability over the profits Bank of America has made off of our local governments and public school system. A public movement can budge even the most recalcitrant institutions. 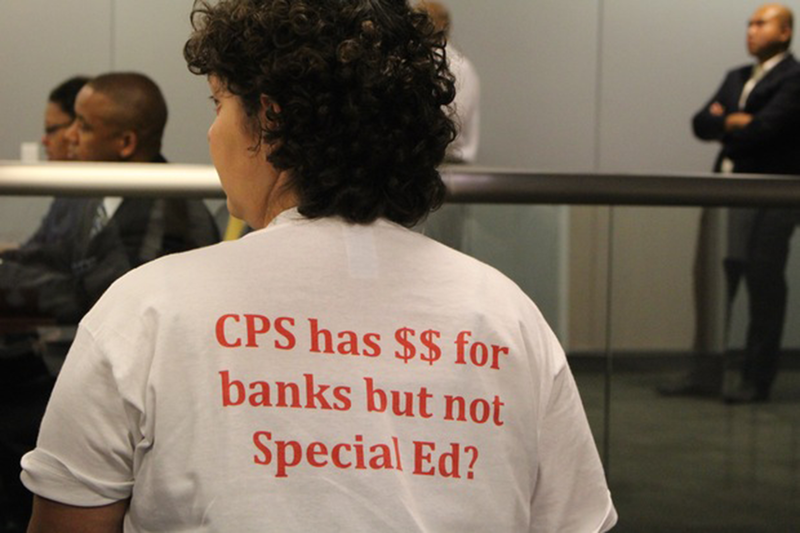 As the new fiscal year started for the Chicago Public Schools, Rahm Emanuel and interim-CEO Jesse Ruiz announced $200 million in cuts, including 1400 layoffs, while warning that even more devastating cuts to the classrooms will be coming down the line if the state fails to act on his legislative agenda - a legislative agenda that included no new progressive revenue sources.